Bathroom Flooring Ideas. 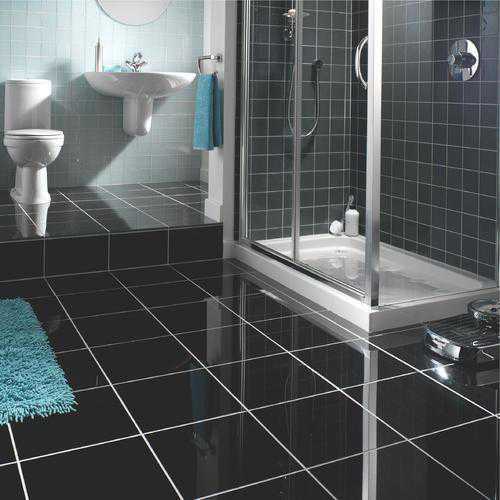 In finding the best bathroom flooring, there are some important aspects which you should remember. It is important for bathroom flooring to be more durable and water resistant than other flooring options. It is because bathroom has direct contact with water everyday. There are many flooring options which you can choose. In choosing the best bathroom flooring, you need to consider some aspects including bathroom’s size, budget, materials, and much more. Here are simple bathroom flooring ideas. Bathroom flooring ideas consist of two options which are hard and soft tiling. You might want to get hard tiling for your bathroom. Hard tiling consists of many options. One of the most popular options is granite. This material is constructed of quartz and mica. Granite is impervious to water and highly resistant to scratching. With this ability, granite becomes suitable option for bathroom. The speckled composition for granite contains of many colors. You are able to find the best granite option for your bathroom style. This material will be better option since it offers more benefits including cool feeling to touch and high durability. The only thing which can damage your granite flooring is if you are dropping something heavy on your floor. Before installing this flooring, you need to know first that the price of granite is quite high. However, the price is completely worthy with the durability and quality offered. 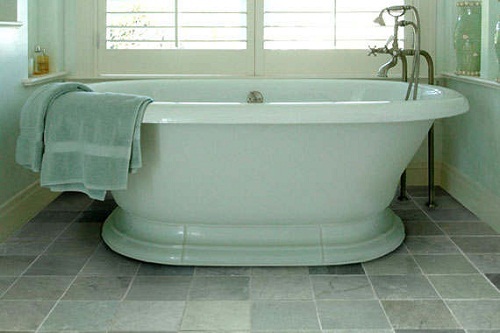 Another option which can be the best bathroom flooring ideas is slate. This flooring option is available in many beautiful colors. The benefits which are offered by slate material are including waterproof and economical. Slate material is also resistant towards wear since it has hard and durable surfaces. It helps you to have minimal upkeep. Some colors of slate material are including blue, blue-gray, dark green, and black. The colors will blend well in your bathroom and add warm and inviting space. Popular option for bathroom flooring ideas is ceramic tiles. These ceramic tiles are offered in various styles. You can find the tile which has similar style to stone. Ceramic tiles are manufactured of refined clay. Ceramic tiles are very durable. The tiles have hard surface which is resistant towards water. Other benefits which are offered by ceramic tiles are including wear resistant and cool surface. It will be suitable for your bathroom area. In installing the ceramic tiles, you can install it diagonally for patterned effect or install it in two different shades of same colors. Bathroom flooring ideas also recommend you to install soft tiling. There are many options of soft tiling which is available in the market. You might want to get rubber flooring. Rubber material is offered in sheets which can be installed easily. The material offers the grip which is working well in the bathroom. Your floor can be slick. Rubber provides warm feeling on your feet. It will be good addition during winter. There are many options of rubber material available in the market. Other materials for your bathroom flooring ideas are including cork, water resistant carpet tiles, and much more. 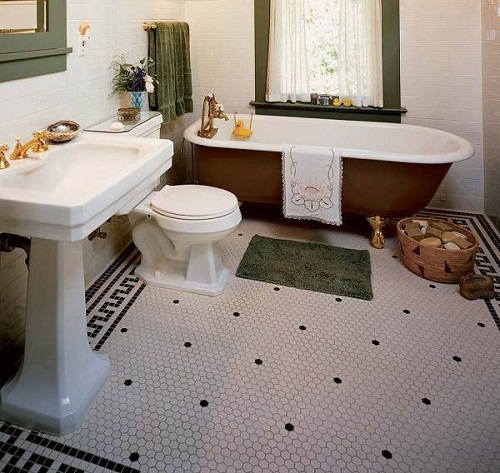 You need to consider your need and style to find the best bathroom floors. If you have more budgets, you can hire the service from the construction company. 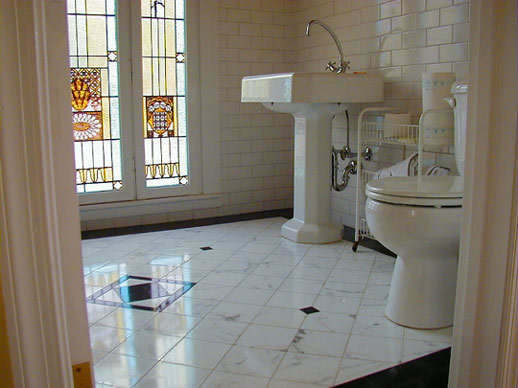 You can consult with your company to find the best bathroom flooring ideas for your bathroom.